Astrosyn DC motors are supplied to leading companies in a variety of industrial and defence markets. Applications include: barrier operation, electric traction, greenhouse controls, lifting mechanisms, hoist drives, tracked vehicle subsystems, compressor drives, hydraulic pumping, and emergency steering systems. We also offer splashproof and submersible motors for marine applications. 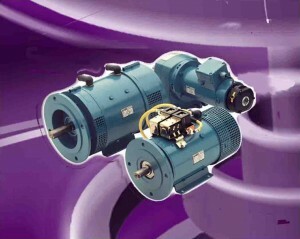 Field wound and permanent magnet DC motors are available in our standard range. Latest developments include very high efficiency rare earth designs, as well as brushless motors for long lifetime and low maintenance operation. Our industrial DC motors come in a wide range of standard types, frame sizes, voltages and power ratings. The motors are manufactured in small to medium batches, and this facilitates customisation for specific applications.